I signed up for an 11 week CASI certification at Big White Resort BC. I’m driving up from Bozeman MT and i have two split setups, a 161 Jones Solution with custom Spark Blazes and a 156 Burton Fish with Spark Arcs. The course is 5 days week, so I have some free days to explore, being one of the few people not coming from another continent I have the opportunity come stacked with gear to make the most of this time, seeing how many people know anything about this area. 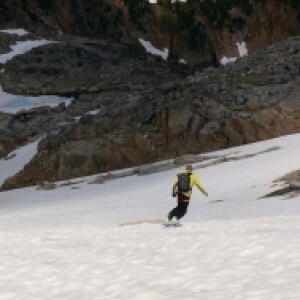 I live in Kelowna and am quite familiar with the area,the slack country is pretty limited in selection but there are a few good spots to hit up on east peak.would you be interested in hitting up malakwa/revy and rogers a few hours away though?? the road is the skiout for the cliff chair.usually skin in on the snowshoe trail from the blackforest just below it. the man tends to freak out if you skin on the edge of the boundary. most people go on/ past east peak to smokers bowl and beyond. No access gates or anything from the resort, just a couple of ropes to duck under. Basically from your picture draw a line somewhere in the middle and everything on the left is in bounds terrain. You can take the cliff chair and boot pack to the top which only takes about 5-10 minutes, and then ride that ridge to the right wherever you want. The peak to the right of the photo that is just out of frame is what Vapor refers to as east peak. Some nice turns in there, although relatively few and it does just send you down to the cliff chair. 90% of the people that ski it boot pack. It does share the ridge line with the ecological reserve and you can drop in the backside as well. 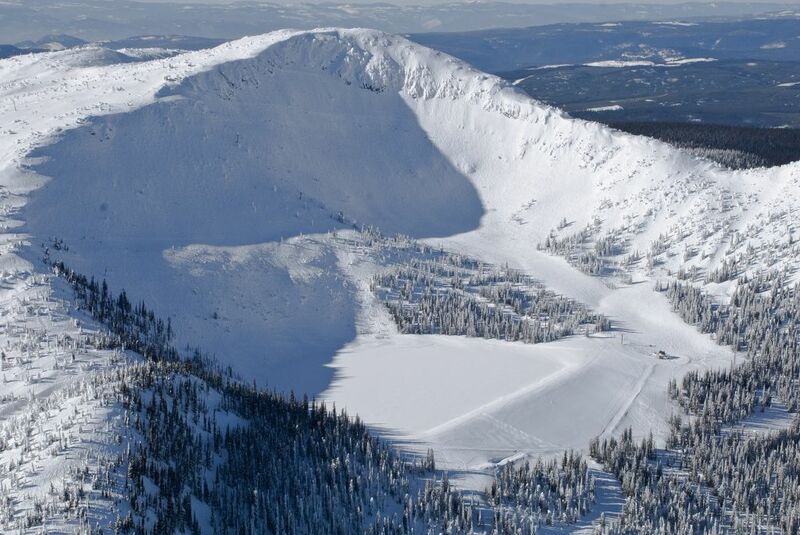 Search “smokers bowl big white” on you tube and you will be able to get a better perspective on the type of terrain. Pretty small stuff IMO and if you’re coming all the way from MT, better to take a few trips up to Revelstoke and Rogers pass.